If you've ever thought about becoming a journalist or are simply interested in learning more about the field, then taking an online course might be a good option for you. Listed below are colleges that offer a variety of journalism courses that you can participate in from the comfort of your own home. North Dakota State University offers several journalism classes through their online education system. The university offers courses in the spring, summer and fall terms. You can take individual online courses or enroll in a Journalism degree program that can be completed online. Non-degree seeking: Individuals who are interested in just taking a few classes can apply as a non-degree seeking student. Students who enroll under this option will not be eligible for financial aid. Anyone who initially applies as non-degree seeking but wishes to work toward a degree in the future will need to apply as a degree seeking student with the university. Degree seeking: For students who wish to pursue a Bachelor of Science in Journalism, an online application will need to be submitted to get full admission to the university. Students who get admitted under this status are eligible for financial aid assistance. These courses expose students to the various writing and design methods that all journalists need to be a skilled professional in the field. The University of Massachusetts - Amherst offers online courses that can be taken either individually or as part of the school's 15-credit journalism certificate program. This is a great option for students who simply want to get their feet wet in the journalism world without having to be fully enrolled in a degree program. Registration is simple and can be done without any application, but UMass recommends enrolling at least two weeks prior to the course's start date. Students will be responsible for paying expenses themselves as federal financial aid is not available. Each course provides students with the journalism basics, such as the principles underlying the industry and the history that has paved the way for media to be where it is today. Additionally, students will learn how to write articles, conduct interviews and read nonverbal cues. Kansas State University offers a variety of journalism classes for both non-degree seeking and degree-seeking students. No matter which path a student chooses, Kansas State requires an application to be completed. Non-degree seeking: Those who initially declare as non-degree seeking cannot receive financial aid, but they still have access to all the online courses a degree-seeking student would. Degree seeking: If a student finds that they would like to pursue a degree instead of just taking a few classes, they can complete the application process to be a formal student at the university and apply for financial aid. Students can apply completed journalism and mass communication courses to the Bachelor of Science in Interdisciplinary Social Science degree. 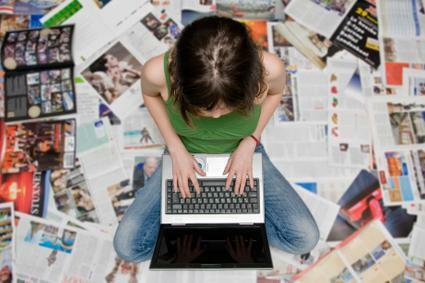 Students who enroll in these courses will learn how to write for different media outlets, gather research for stories and develop pieces for for-profit and non-profit companies. Different courses may be available each term, so anyone interested in enrolling should check the class schedule regularly for updates. With a solid reputation and world class professors teaching each course, the University of Washington is a great starting point for anyone interested in learning more about journalism. By offering both non-degree seeking and degree-seeking options, students can either take a single class or apply multiple classes toward a Bachelor of Arts in Integrated Social Sciences, a personalized degree that includes a variety of social science disciplines. Non-degree seeking: Students who declare as non-degree seeking will need to pay tuition and fees upon registration and complete a five-step registration process. Degree seeking: For those who wish to pursue the bachelor's degree, applications should be submitted no later than May 1st. The program begins each fall so students who miss the deadline will need to wait until the next fall term to begin the degree program itself. These courses give students information about the various laws that impact media outlets, how race and gender are represented in media and the basics of the role journalist's take during political elections. If you have a strong interest in social media and/or sports, then West Virginia's journalism courses could be the perfect option for you. Non-degree seeking: Although the university requires all degree-seeking students to apply for admission, those who want to get a feel for the classes and program can begin by using a guest pass, an alternative registration process for anyone who wants to take less than 12 credit hours in one term. Degree seeking: If a student decides they would like to continue working toward a degree, they can apply for regular admission to the school and begin using financial aid. West Virginia offers two online bachelor's degrees that students can apply their completed courses to: Multidisciplinary Studies (BMDS) and Regents Bachelor of Arts (RBA). Students enrolled in these courses will learn how to write for media outlets, develop stories for entertainment purposes and interpret sporting events into written stories. With several online courses available, it can be hard to decide which ones to take and invest your time and money into. If you're struggling to make a decision, try writing down some of your interests. Do you want to learn about news writing? Are you passionate social media? By narrowing your focus to those topics you're truly interested in, you'll have an easier time sorting through each school's available courses and choosing which one is right for you.